Through universal screenings, Connect identifies needs and links families to the programs that best serve them. This coordinated intake and referral process ensures the best fit for families and streamlines access to services. At the same time, it improves program enrollment and retention rates, reduces duplication of efforts and builds a broader early childhood system of care in Florida. Connect helps pregnant women, caregivers and families with young children by providing a one-stop entry point for needed services, such as education and support in childbirth, newborn care, parenting, child development, food and nutrition, mental health and financial self-sufficiency. MomCare is a Medicaid-funded program authorized by a special waiver from the federal government called the Sixth Omnibus Budget Reconciliation Act (SOBRA). MomCare was developed as a partnership between the Florida Association of Healthy Start Coalitions, Florida Department of Health, Florida Agency for Healthcare Administration and Florida Department of Children and Families. The program is managed locally by the Healthy Start Coalition of Miami-Dade. Once accepted into the program, clients will receive guidance on how to contact the Agency’s enrollment broker to enroll in a managed care plan, select a prenatal care provider for early and continuous health care, and information about state programs for which they may be eligible. The goal of the Florida’s MomCare Program is to improve birth outcomes and reduce infant mortality rates through a simplified application, guidance, education and care coordination services. What is the purpose of MomCare? To avoid recommendation we talk about what might be considered in making the choice (location, hospital, office hours, etc.) and provide specific characteristics of each provider to help her make a choice. SOBRA Medicaid is a medical insurance that covers pregnancy-related procedures until 60 days postpartum. Women qualify based on household income. A woman may have a household income of $51,000 and still qualify for SOBRA if she and her partner work and they have four children plus the one they are expecting. 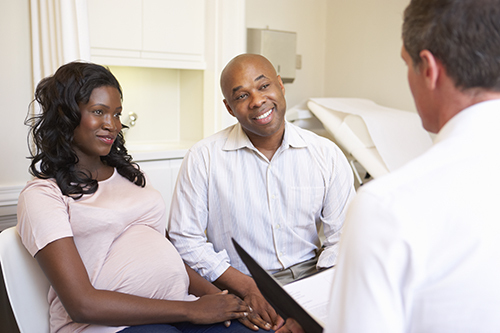 If you are pregnant, you may qualify for this special health insurance program. To see if you are eligible click here to review the Department of Health and Human Services Poverty Guidelines. You can apply for this program if your family meets these guidelines, even if you or other family members are working. Once you are enrolled, the program will cover medical care and hospitalization during your pregnancy. It may also cover health care bills you received up to three months before your enrollment. There is no cost for this coverage. Your baby may also be eligible for free insurance after he or she is born. Applications are available at physician’s offices, the Florida Department of Health, the Florida Department of Children and Families, and other qualifying pregnancy testing centers. If your health care center needs applications please call the MomCare Program of the Healthy Start Coalition of Miami-Dade at (305) 541-0210 or click here for more information. Have proof of a positive pregnancy test on a physicians or pregnancy centers letterhead that states expected delivery date. Have a household income at between 150% and 185% of the poverty level. See Income Chart. Be a United States citizen or a legal alien. Fill out applicant information in full. Answer questions 1-10 completely. Do not omit ANY information or skip ANY questions or approval of the application will be delayed or denied. Don’t forget to have the applicant sign the form! Attach the applicant’s positive pregnancy test results received from a health professional’s office (results must be on letterhead) to the application. Affix postage and mail the application or fax to the Department of Children and Families address for the home zip code of the applicant. Click here to see list of DCF Economic Self Sufficiency Services Centers including addresses and fax numbers. Telephone: Please list a phone number and any alternate phone numbers where you can be reached. Other Income to Report: Social Security Numbers of the Pregnant Woman, the husband or the father of the baby, when he lives in the home with the pregnant woman; any Social Security or Child Support Income received for the pregnant woman’s other children in the home. What is the process of MomCare?